Do you love sharing recipes? 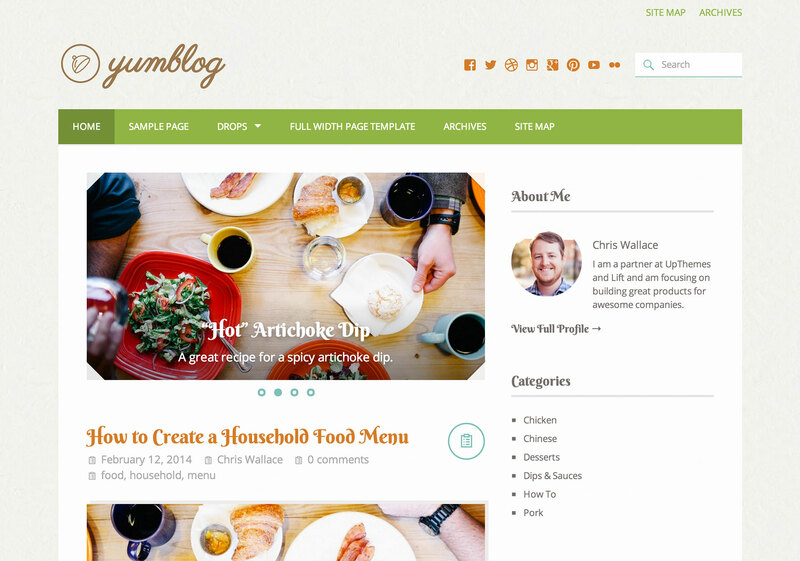 Yumblog is a simple theme for food bloggers to publish recipes, meals and tips easily. We’ve gone to great lengths to ensure your recipes can be easily viewed and printed on any medium. Simple load in your content and Yumblog handles the rest! We’ve made sure to add styling for author archives within Yumblog, making it easy for you to link to recipes added by any contributor who has published a post. With the ability to select from a few free color schemes along with an unlimited set of color combinations with WordPress.com Custom Colors add-on, Yumblog makes it easy to customize your blog’s appearance. Add your social links to the header by enabling the Social Menu that we’ve added to this theme. Then simply add links to your online profiles and you’re all set! Yumblog adds support for featured posts and recipes with Jetpack. Simply use the Theme Customizer to define a tag to be used for featured posts and off you go!